A man reported missing from an Orcutt group home walked into traffic on Highway 101 in Santa Maria Tuesday morning and was struck by a pickup truck that an Arroyo Grande man was driving. The pedestrian, George Whiting, 32, was airlifted to the hospital. Whiting was reported missing on Monday after he walked away from the Del Mar Group Home. At about 5:15 a.m. Tuesday, Whiting was walking southbound in the northbound center divider on Highway 101 just south of Main Street. 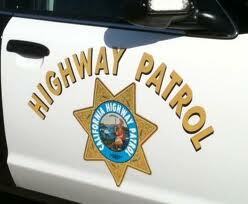 CHP officers came to the area and searched for the pedestrian but did not locate him. About 80 minutes later, the CHP received reports of a man walking on the southbound Highway 101 shoulder just north of Stowell Road. Officers immediately headed to the location. For unknown reasons, Whiting walked directly into the path of traffic and was struck by a pickup truck being driven by Justin Watson, 45, of Arroyo Grande, according to the CHP. Whiting suffered a broken arm and abrasions to his head. CHP officers, passing drivers and medical personnel arrived at the scene and provided care to Whiting. A Calstar helicopter airlifted Whiting to Cottage Hospital in Santa Barbara. Watson, who did not suffer any injuries, remained at the scene of the collision until CHP officers arrived. Neither drugs nor alcohol appear to be a factor in the collision, according to the CHP.